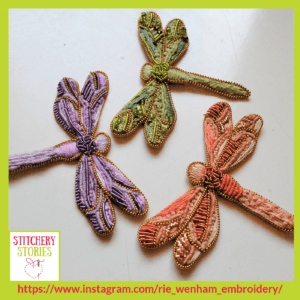 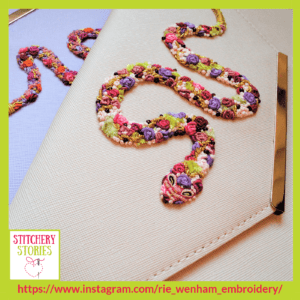 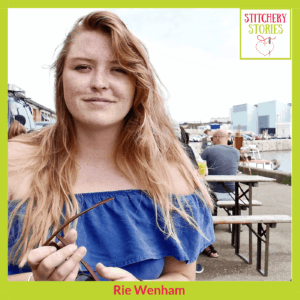 Rie Wenham shares her life in fabric & thread on the Stitchery Stories embroidery podcast. 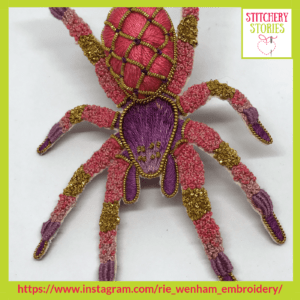 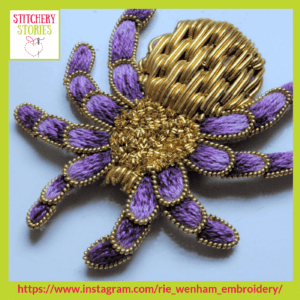 Rie shares the various aspects of her creative career, and the story of why she loves to create beautiful spiders and snakes combining goldwork, crewelwork & stumpwork. 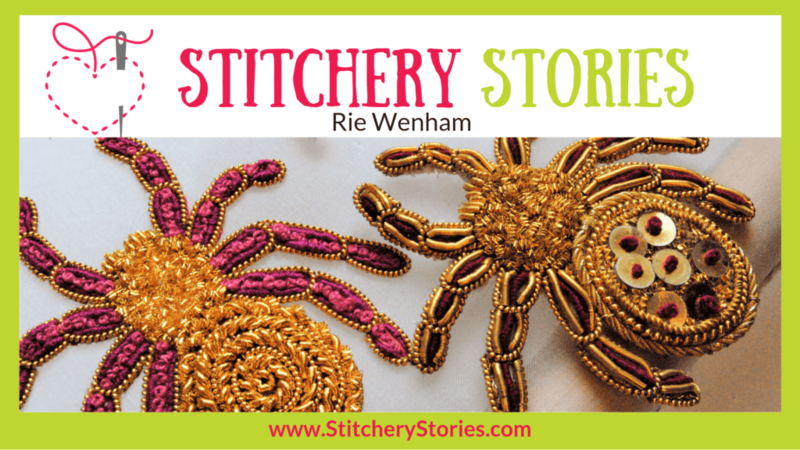 Rie dislikes the waste behind ‘fast fashion’ and shares how she makes a difference. 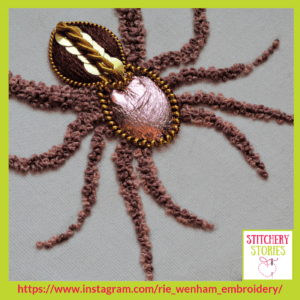 Will she finish Chewbacca for her boyfriend’s birthday?